As an artist, Dr. Laura Reed has always enjoyed making beautiful things or making things more beautiful. But her love of science and helping others led to a career in health care. She became a licensed Doctor of Optometry in 1985 and was named “Young Optometrist of the Year” in 1987 by the California Optometric Association. Over the years, she worked in private practice and for eye care companies including a division of Johnson & Johnson. She was a national speaker, editor, practice management consultant, and published author in professional journals such as Review of Optometry. Dr. Reed’s mid-life career change began after she got permanent eyebrows and eyeliner herself. She told the artist who tattooed her makeup that she was tired of working for others and wanted to do something different. Heather, her artist, asked what she loved to do. She answered, “Anything artistic, but I don’t have time for it.” Heather said, “You MUST do this! The field really needs more people like you to raise the bar on the standards. Being an artist with a medical background would be PERFECT, plus you have one of the best schools in the country in your back yard.” And so her journey began. Dr. Reed’s first step was researching equipment to find the most advanced and safest technology. She chose fully disposable, computerized, and digital equipment—initially the Nouveau Contour System and later the I-Star system. The next step was education. Her fundamental training in permanent makeup was at the Huntington Academy of Permanent Cosmetics. She then took advanced courses at the International Institute of Permanent Cosmetics. 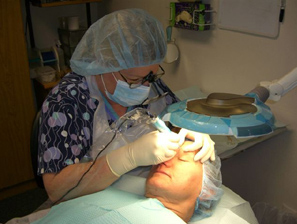 In 2006, Dr. Reed opened her micropigmentation practice in Orange County, California. Her background as an artist, makeup artist, and doctor was the perfect combination for exceptional results. She received several “Best of the West” awards for her permanent makeup artistry. In 2011, she earned her CPCP (Certified Permanent Cosmetic Professional) credential with the highest exam score in the nation. Later that year, she became a Board Certified Diplomat and Fellow (FAAM) in the American Academy of Micropigmentation by passing standardized written, oral, practical, and chart exams. Those credentials are recognized worldwide as representing the highest levels of expertise in permanent cosmetics. Being in a highly populated area, Dr. Reed honed her skills by performing thousands of procedures in only a few years. And with California’s diversity, she gained experience working with skin types from all races and ethnic groups. For several years before 9-11, Dr. Reed worked for a consulting firm and travelled all over the U.S. and Canada. That is when she fell in love with the Northwest and planned to live in a Rocky Mountain state. She moved to Idaho for a better quality of living and reopened her office in February, 2012. She is the only cosmetic tattoo artist in the state who has the CPCP and FAAM Certifications. She is also Certified in CDC-OSHA Bloodborne Pathogens control and is a consumer safety advocate in the field. As one of few doctors who specialize in cosmetic tattooing, patients travel to her from all over Idaho, other states, and even other countries on a regular basis. 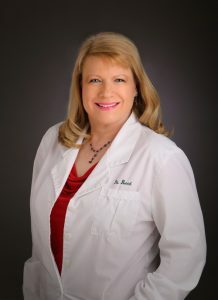 Dr. Reed has taken many advanced courses and workshops by master trainers and maintains her certification credentials with annual continuing education courses. Dr. Reed’s articles have been published by the Society of Permanent Cosmetic Professionals (SPCP) and magazines like Cover2Cover. She has been interviewed for newspapers and periodicals including the Idaho Statesman, the Orange County Register, Meridian Life Magazine, and Women in Optometry. She is featured and quoted in beauty and cosmetic medicine blogs and is a Medical Tattoo Expert for Surviving Beautifully, a website dedicated to helping women during cancer treatment. Beauty, comfort, and safety are Dr. Laura Reed’s top priorities at Artistic Cosmetic Solutions. A true perfectionist, she spends hours with patients to ensure the best results that will make them happy. She will customize the most flattering makeup design and colors, use the most effective topical anesthetics to minimize discomfort, and follow strict infection control guidelines before, during, and after every procedure. Physicians, nurses, and other health professionals refer their patients to her—and they also choose her for their own procedures. Dr. Reed’s artistic talents, medical education, patient care experience, board certifications, and advanced tattooing skills are the perfect combination to create beautiful results safely for all of your permanent cosmetic needs.